I am the 4-H leader of our homeschool group of kids in West Virginia. We are the hillbilly homeschoolers 4-H club. We need a logo and a banner and I have been a big fan of yours for a while. 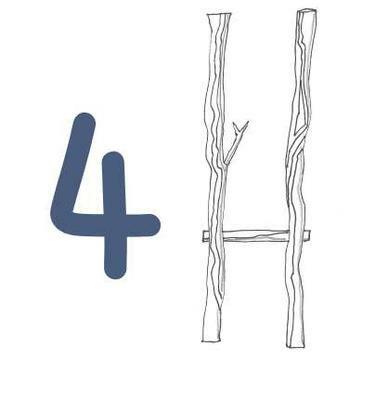 I would LOVE for you to help me design a Twig lettering for Hillbilly Homeschoolers 4-H. If you could maybe even come up with a picture logo representing our name that would be fantastic. I hope to have a vinyl/nylon or flag material banner made for us to hang in our 4-H building during the County Fair and to take with us to the State Fair of WV as well. I was thinking of the size 3X4 or maybe 3X5. Would you be able to help me with this? Annie Higginbotham and her homeschoolers 4-H club of 12. Annie, I would be thrilled to help you with this; I do have the whole alphabet in twigs, which might work for your project - I normally sell the whole alphabet, but in other cases I'll make up the name or whatever you want for a small price - usually $5 each letter - in this case, I'll do a really great deal for you - $1 each letter. You will have the image to do whatever you want with, just let me know exactly what you want it to say. You can see more here: Rustic Clipart.